If you thought darts was just a simple game that blokes play down the pub in between football matches, think again – darts betting sites have never been bigger, and anyone who has watched even one game on TV will know that there is a massive buzz around the sport in general. T&Cs New UK & NI Customers. 18+. Stake from £5 to £25 on any Sportsbook market for the first time, at odds of evens (2.0) or greater and get a matched Free Bet within 24 hours of settlement, 7-day expiry. Stake £10 on any Totepool bet for the first time and receive £10 back in cash within 24 hours of settlement. E-Wallet and Prepaid Card restrictions apply. SMS validation may be required. Full T&Cs Apply. T&Cs New William Hill online customers only. Min. unit stake of £10/€10 at odds of 1/2 or greater. Only the “win” part from EW bets will count. Free bet terms, payment method & country restrictions apply. Free bets credited as 3 x £10/€10. Free bet stakes are not returned as part of the settlement of successful free bets. All Free Bets must be wagered within 30 days. T&Cs Risk Free 20: New customers only, limited to one per person. If you’ve previously had a Paddy Power account, you will not qualify for the offer. Place your FIRST bet on any Sportsbook market and if it loses we will refund your stake in CASH. Max refund for this offer is £20. Only deposits made using Cards or Paypal will qualify for this promotion. T&Cs apply. Paddy's Rewards Club: Get a £10 free bet when you place 5x bets of £10+. T&Cs apply. From the sites above you can decide where to place your dart bets. There are plenty of bets to place and you can be sure you will be getting good odds on these sites. There are a number of big names in the game who have huge fan followings, many of them opting to carry off wrestling-style gimmicks to help make things that bit more interesting. 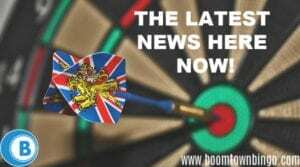 After all, how interesting is darts to watch otherwise? If you ask a genuine fan, it’s probably quite exciting – and under the right circumstances, it can get very intense indeed. 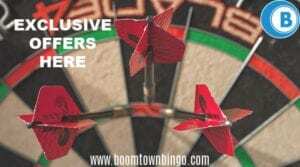 Darts betting sites are wide open to a variety of different odds and markets purely down to the fact that there are so many different ways in which a match can turn out. Some matches can go on for hours and hours as players attempt to find the quickest ways to win. It’s a game of concentration, hand-eye-co-ordination, and even maths – if you can’t do basic maths, you’ll never be a champion dart player! In any case, regardless of whether or not you’re a skilled mathematician, you can get involved with a generous array of markets and options in the game and across various championships and disciplines. Here’s our quick guide and rundown on what to expect when placing bets on darts. Darts betting odds will largely revolve around the biggest tournaments, such as the PDC World Championship – and most markets will be lined up far ahead of time for you to take advantage of. Dart bet tips will largely suggest you look into various players’ form in the past, and their ability to act under pressure – particularly as these tournaments come with high stakes and are widely televised. The best dart players have been made in these competitions, and some have found themselves crashing out spectacularly – the atmosphere is electric, and you’re going to need to look at players and markets which remain fairly even across the big bet sites and bookmakers. BDO World Championship betting odds are available from fairly on in the sporting calendar, and it’s here where you’ll be able to take your pick from big names and specialist markets in case you want to refine your slips. While dates for the BDO championship will take time to be confirmed from year on year, you’ll widely see big names already splashed out on odds tables and fixtures regardless of what’s set to take place. A smart better will perhaps leave waiting for the championship to be announced before taking the plunge – but part of the beauty in BDO darts betting sites ahead of time is taking an early punt. You’ll already be able to see form for players like Kyle McKinstry and Dave Parletti ahead of time – whether or not they will be in attendance is another matter entirely. There’s a wide array of championships and competitions taking place each year, and the PDC World Darts Championship final is just one of them. Want to place bets on an outright winner, who you think will score the most ‘180s’, or even what the final score will be? Take your pick – world dart championship betting odds roll in thick and fast, particularly as there are so many tournaments on the calendar, and you’ll get the opportunity to pick from various markets for various players. If you would like to place bets, make sure to check out the darts bet types available prior to placing any bets. Seasoned dart bet enthusiasts will be able to confidently pick the right scores and the right events to occur – but for those who are newer to this type of sports betting, there are simpler and less risky markets available for you to choose from. Looking for odds tonight? No problem – take your pick in as far in advance or as close to a major event as possible. Live darts betting is also available for World Matchplay and UK events – in fact, UK Open dart bets is made all the more exciting with the ‘live’ factor thrown in. The aim of darts, of course, is to score a certain amount with the fewest darts possible – most rules revolve around you being able to knock your score down from 501 or 301 to 0 by hitting the right score targets on the dartboard. Some targets are worth double the points available, some are worth treble – and there’s the bullseye, too. The highest score you can accumulate from three darts (the basic play) is 180 – and this is famously shouted out by announcers in an extravagant fashion if it’s achieved. How do you get a 180? Hit treble twenty three times – not an easy task! Betting on darts live will allow you to change your mind on certain markets mid-play, and to decide who wins which round. PDC betting remains hugely popular, particularly as it plays host to some of the best players from around the world. Knowing a player’s form and playing style is often something you can work to your advantage, perhaps similar to other sports betting markets such as boxing bets in that sense. Each player will be slightly different, but remember, confidence and cool are big plus points in this game. If your punt gets slightly flustered if they don’t hit the right marks, you may want to switch your bet. 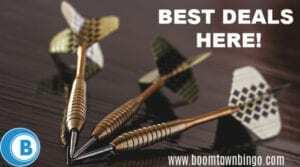 World dart betting is offered by most UK bookmakers and betting sites, and whether you bet live or choose to put your money down ahead of time, there’s often a wealth of choice available. Why bet on an outright winner when you could take a calculated risk? For the latest darts betting sites and deals, head for a variety of odds sources – and make sure you get an average cross-section of odds on what to expect from various world dart players. You don’t have to follow the pack if you’re feeling particularly lucky, of course!